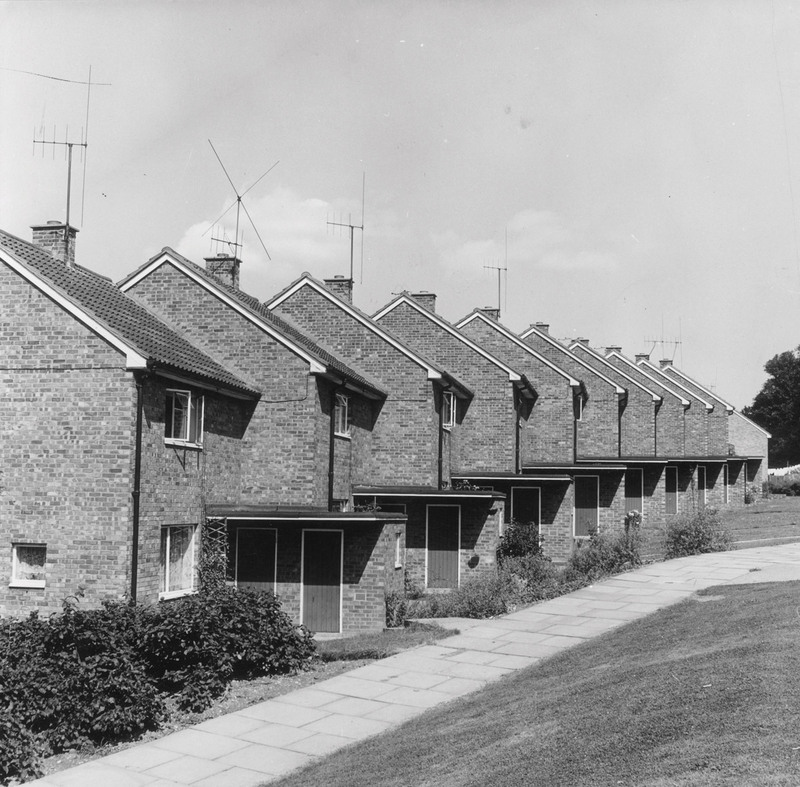 When the building work began on Harlow new town in 1949, it was intended to relieve the chronic housing shortages caused by years of neglect and wartime bomb damage in the north-east London boroughs. 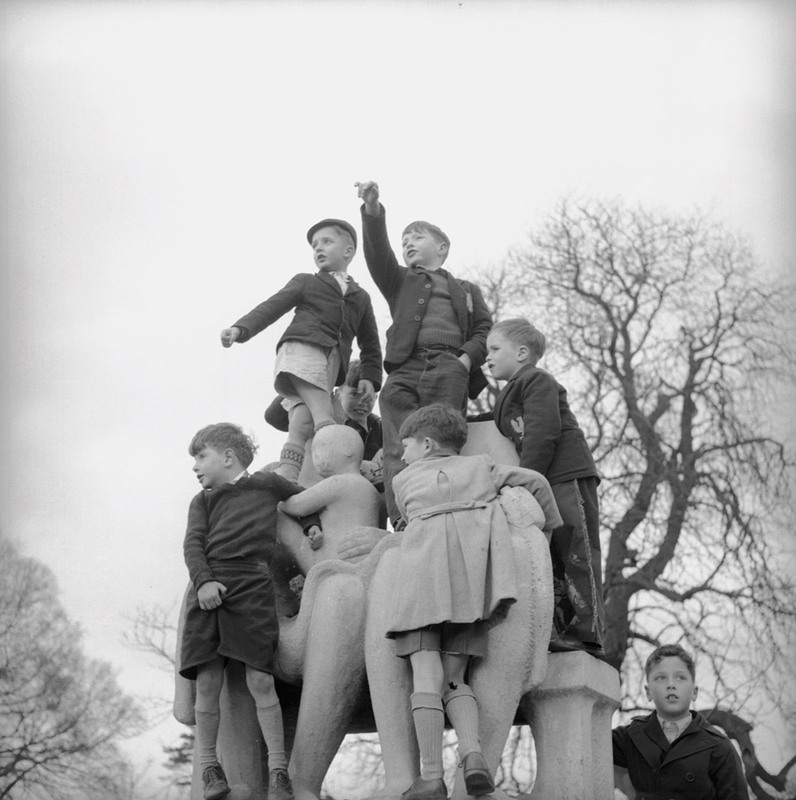 Two years earlier, Clement Attlee’s Labour government had set up the New Town Commission. It decided to rebuild urban areas ravaged by poverty and war with publicly funded development corporations. Harlow’s chief architect, Frederick Gibberd, devised a scheme which would provide housing and employment for working-class families. His vision was a self-contained community surrounded by rural belts and green wedges. Harlow’s new town would contain a mixture of residential and agricultural areas with purpose-built industrial zones and financial incentives to entice manufacturing employers from London and further afield. The plan was to make it largely self-sufficient — providing everything the people who had moved there would need for a good life. In 1951, my grandparents moved from a one-bedroom flat in Walthamstow to Harlow. My grandad was offered full-time, secure work as a plumber, a job which would see him working on the construction of Harlow itself. This enabled my family to secure a three-bedroom rented corporation house in the town. They lived there for almost sixty years, enjoying the kind of security and decent living conditions few of us can dream of today. 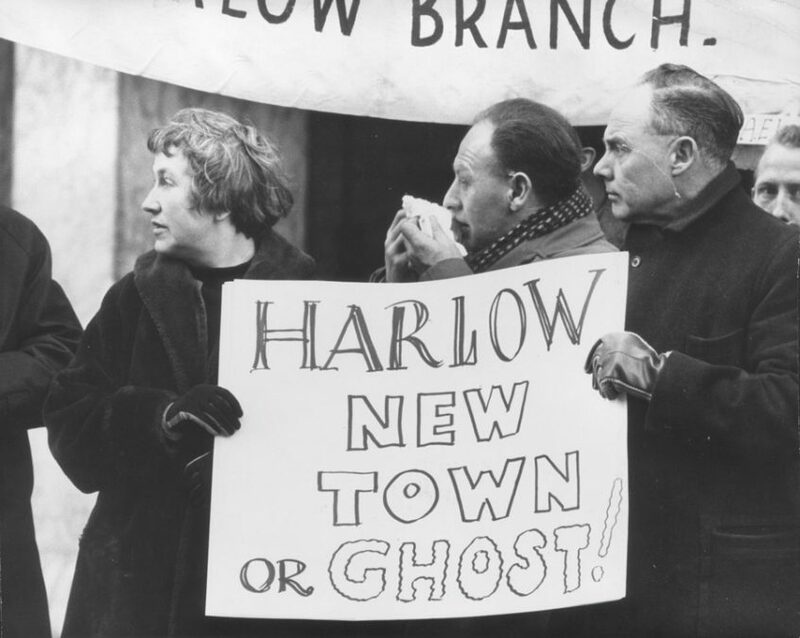 Harlow’s new town was born in an era when working people had grown tired of the chaos of war and the injustices of Victorian capitalism. In their place, workers elected a Labour Party which promised a society that could be rationally organised in the common interest. The post-war Labour Party burned with an ambition to improve the lives of working people and its successes can still be seen today in achievements like the National Health Service. This vision allowed families like mine — skilled, Labour-voting ex-Londoners — to enjoy a life in Harlow that was, if not a socialist utopia, then a community based on sound and conscientious municipal values. My granny was elected as a Harlow Labour councillor and served for twenty years until her death in 1991. She carried with her the politics of her community, as a strong advocate for working-class families and social justice. Her warmth and devotion to the town are a large part of the reason why I decided, decades later, to go forward for election to represent Harlow in Westminster. My granny’s Harlow was a product of the ‘post-war consensus’ — and Thatcher’s rejection of that settlement had long-lasting consequences. By dismantling manufacturing, and the relatively secure jobs that went with it, the Tories plunged working-class areas across Britain into permanent insecurity. They then sold off council housing, convincing working people who were reliant on low-skill, low-wage wage jobs to become homeowners, usually by means of enormous debt. This was no coincidence: right-wingers knew that a working class exposed to risk, and lacking the security of traditional employment and council housing would pose less of a threat to their machinations. This was part of a plan by successive Tory governments to dismantle working-class life in this country. 6.8 million people worked in manufacturing when Margaret Thatcher came to power. By last year, it was under 3 million. The 170 working coal mines in 1983 became 4. Once, more than a million people worked making cars in this country. The latest figure is under 150,000. Even before Thatcher, the cotton mills of Lancashire closed at a rate of one per week in the sixties and seventies. The ships that were once built across Britain — from Portsmouth to Sunderland and Glasgow — are still needed. But the jobs aren’t there anymore. Of course, today the working class extends far beyond manufacturing. But for most of its history manufacturing was its stronghold. That is why the scars ran so deep when governments that were supposed to represent this country collaborated with big business to offshore millions of decent jobs, ones with security and workplace representation and a good wage and reliable hours. The Tories believed a depleted labour movement would be incapable of resisting globalised capital. So far, for the most part, they’ve been proven right. The question facing Labour today is how to respond to these decades of managed decline. Our challenge in Harlow, and in working-class towns across the UK, is to restore the connection between working people and the Labour Party. Pro-market economic policies have caused enormous damage to our communities, and Tony Blair’s New Labour did little to repair it. We cannot afford the defeatism of those days, which said that it was impossible to reverse the damage of Thatcherism. Instead, we need to take our inspiration from the kind of governments that built new towns like Harlow in the first place. The post-war Labour government didn’t aspire to improve working-class life by abolishing it. They didn’t set out to make everyone middle-class professionals. Instead, they saw workers as a class that needed to come into its own, building a future which would be based on their own needs and values rather than the ones espoused by capital. The Labour Party must convince today’s working class that we are the engine for change that we once were. We must make people believe that we are a party that will build things again, from public and affordable housing to infrastructure and, yes, the kind of goods that once sustained decent, well-paid jobs in our manufacturing sector. Labour, led by Jeremy Corbyn, is on the right path to becoming a party that can once again represent working people. Policies that focus on building in Britain can help us appeal to our traditional voters, many of whom have become disillusioned. The commitment to secure jobs in the shipping industry, to create 400,000 jobs in the renewable energy sector, and to once again build council housing en masse demonstrates our seriousness. Common sense socialist policies like rent controls and rent caps, public ownership of rail, mail and water, and employee ownership schemes are popular across the country. Labour’s message is resonating, but we are still faced with hostility from the mainstream press. Jeremy Corbyn said in his speech at conference this year that ‘a free press has far too often meant the freedom to spread lies and half-truths, and to smear the powerless, not take on the powerful.’ In Harlow our local Labour Party, Young Labour, and Momentum groups have fought hard to overcome this ‘propaganda of privilege’. In the past twelve months, we have been involved in a massive campaign of community engagement. We have helped to organise a film screening to benefit our local food bank, hospital garden makeovers, family cyclothons, a festival to mark the NHS’ seventieth anniversary, as well as open mic nights in support of our local homeless charity and bingo nights raising money for dementia patients. We have also pursued political education, with lectures about the history of the Labour Party, Q&A stands with councillors, and forums to educate people on the functions of our councils. Recently, a group of Labour members set up a community interest company and secured a space which will be used as a hub to host events, meetings, and other social initiatives benefitting the community. Their aim is to provide work for former prisoners and the long-term unemployed. It is this work of embedding ourselves in our communities that will allow us to understand working people’s worries and concerns. That is the first step of restoring Labour’s connection with the working class it was founded to represent. But to build cohesive working communities once again, we must match this with policies that are bold enough to solve social problems. This means reviving the spirit of ambition for working-class life that built Harlow new town in the first place. Reflecting on that period, Leah Manning, Labour’s MP for Harlow after the Second World War, said: ‘I did not find people pleading and crying that they would be turned out of their shops, their houses, and farms, but a great mass of people who looked forward to the day when a new town would arise in this very ill-served place educationally, culturally, and industrially.’ In 2018, there are places like that across Britain once again. A socialist Labour government must make them believe in a better future.